F-Secure Client Security is a centrally managed, complete security solution for businesses. It provides an intelligent way to protect corporate workstations and laptops against all threats. F-Secure Client Security is award-winning endpoint protection for PCs running the Windows operating system. It’s much more than just Anti-Virus. This F-Secure complete security package includes antivirus, antispyware, rootkit scanning, firewall and behavior monitoring. Laptops and desktops are the doors to your network. As such, they are the most vulnerable link in the cyber security chain. There’s no doubt about it: you need the best endpoint security solution available. F-Secure Client Security is proactive, heuristic protection against the latest emerging threats. It has won the AV-Test “Best Protection” award four years in a row. It is uniquely able to provide impenetrable protection against all online threats while minimizing impact on system performance. Endpoint protection is at the core of cyber security, and this is the best of the best. F-Secure Client Security also saves you time with automatic patch management and boosts employee productivity with web browsing controls. Complete with automated software updates, F-Secure Client Security provides the ultimate endpoint protection against known vulnerabilities. This is software that has earned AV-Test’s Best Protection Award four years in a row. 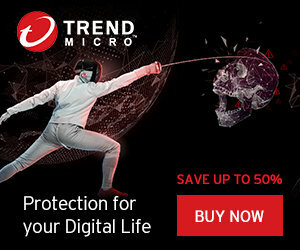 Virus and spyware protection – protects your computer against viruses, trojans, spyware, riskware, rootkits and other malware. DeepGuard – proactive, instant protection against unknown threats. It monitors application behavior and stops potentially harmful activities in real-time. DataGuard – monitors protected folders to prevent untrusted applications from modifying your files. Web traffic scanning – detects and blocks malicious content in web traffic (HTTP protocol) to provide additional protection against malware. Firewall – consists of Windows Firewall integration and Network access control. Application control – allows you to restrict virtually any application from starting. Botnet Blocker – allows the Policy Manager administrator to block Domain Name System (DNS) queries from the host for domains that have a malicious reputation. Browsing protection – provides additional protection against unsafe web sites. Web Content Control – allows blocking of web sites that contain unsuitable content. Connection Control – protects against harmful activity when accessing sensitive sites. Device control – lets you control and disable hardware devices. Software Updater – keeps your system and applications up to date by automatically installing patches as they are released by vendors. Offload Scanning Agent – moves malware scanning operations to F-Secure Scanning and Reputation Server. Entries for older CS 12.X and 13.X versions remain in the installed products/applications list after upgrading to version 14. Policy Manager communication issues related to problems with updating certificates. Restart is required during MSI installation. Fixed in this version, but the product logic still requests a restart for upgrades from version 13.x after the installation is completed. Unexpected operations (that have already been performed) from Policy Manager coming to client. Installation status 1603 returned to Policy Manager when sidegrade starts. Tray icon not visible after upgrading to version 14. “Check now” button does not lead to immediate delivery of policies. Significantly revised the scanning architecture and communication between endpoint components and with Policy Manager. This introduces the latest F-Secure technologies and unifies them across all F-Secure products. User experience refreshed and revised. The user interface is updated. Installation time and the need for restarts are significantly decreased. F-Secure firewall is replaced with the Windows firewall engine. It is automatically turned on after installing Client Security 14.00, unless explicitly disabled in the policies. Centralized configuration experience remained unchanged as much as possible. The main difference in the configuration logic is the introduction of profiles, which compared to Security levels do not use a policy inheritance model but use a copy-on-modify approach instead. See Policy Manager release notes for details. Rules from the current Firewall profile created for the Windows Firewall are labeled with “F-Secure Firewall” as a group name. Because of this replacement, the Internet Shield Application control feature is no longer available in Client Security 14.00 and is superseded by a new incarnation of Application control. The new Application control allows you to restrict virtually any application from starting based on powerful rules defined by the administrator. See Policy Manager release notes for details. Client Security Standard and Premium editions are now distributed as a single JAR file that contains both editions. The product edition is selected when you configure the package with Remote Installation Wizards based on the entered keycode. Keycodes are validated at this stage. Trial keycodes are no longer needed for evaluating the product. The evaluation logic is enforced on the Policy Manager side, which blocks centralized configuration from the Console after the evaluation period expires. Remote Installation Wizards detect when Policy Manager runs in evaluation mode and do not ask for a keycode in this case.